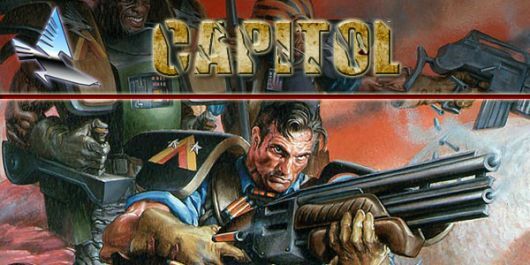 Capitol was the first Megacorporation to fully appreciate the commercial viability of colonizing the solar system. Taking the initiative, they invested a massive amount of resources in the construction of a permanent launch facility and resource depot on Earth's Moon (Luna). Their investment paid huge dividends as traffic throughout the solar system increased and all of the Megacorporations began using the Capitol base. They developed a reputation for logistical expertise that persists to this day, for their supply lines and rapid deployment record is by far the most impressive of all the corporations. The Capitol Military reflects the emphasis on individuality, which is prevalent in their society at large. They possess a large regular army but the majority of conscripts join up in the firm belief that they are destined for service in one of the special-forces divisions and as such, the Capitol military force has a hugely varied selection of specialist troops.